Why just burn one type of fuel, when you can have a choice? Wharfe Valley Stoves have a selection of high quality Multi Fuel Stoves at fantastic prices. Our Multi Fuel Stoves can burn a number of different fuels such as, logs and smokeless Coal and briquettes, which is why they are often known as solid fuel stoves or coal stoves. The majority of Multi Fuel Stoves are now fitted with riddling grates that allow the air to flow beneath them, this helps you get the most from your fuel and have a more efficient stove. By using smokeless coal in your Multi Fuel Stove you are able to reach a higher temperature and a more even temperature as the burn rate is much slower perfect to overnight burning on those cold winter nights. All of our Multi Fuel Stoves are available to view in our purpose built stove showroom. We have fully working displays of our Multi Fuel Stoves so that you can get a look and feel of how your stove will suit your home. 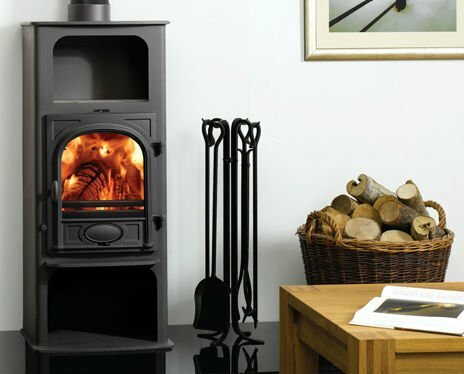 At Wharfe Valley Stoves we want to ensure that the installation of your stove goes smoothly, therefore we offer a full range of services starting from the initial consultation to the installation of your stove. Please feel free to get in touch if your have any queries about our Multi Fuel Stoves.